Tom Holt's deep experience will help InterVision grow as we bring our expanding portfolio of innovative solutions and managed services to help our clients across industries to meet their business challenges. 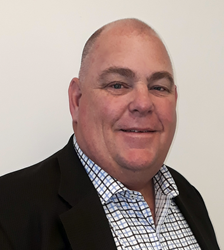 InterVision Systems today announced that Tom Holt has joined the company as Vice President, Sales West Region. In this new role, he will be responsible for leading the direct and indirect Sales teams from Southern California to the State of Washington, focusing on enterprise client growth. Holt brings 25 years of comprehensive sales, management, and leadership experience in the technology industry. Through his tenure in the technology industry, he has led many cloud automation engagements while developing deep technical expertise with partners like Splunk and ServiceNow. Holt has held executive positions and led sales teams at IBM, NetApp, Bedrock Technology Partners, Arrow Electronics and Bodega Technologies. InterVision’s mission is to transform business through the evolutionary power of technology. The company delivers IT managed services, on-premise solutions, professional services, cloud solutions, automation services, and consulting that organizations need to thrive in today’s dynamic IT market. InterVision’s vendor-certified sales and engineering staff have specialized expertise in all areas critical to IT environments. The company has headquarters in Santa Clara, Calif. and St. Louis, Mo., and offices and data centers in the Central and Western U.S. Learn more at http://www.intervision.com.